PCRepairNorthShore: Which connectors are used with fiber-optic cabling? Which connectors are used with fiber-optic cabling? 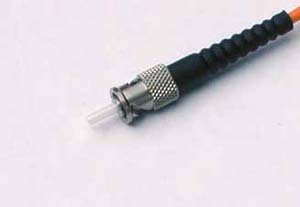 The ST and SC connectors are the two most popular connectors available for fiber-optic cabling. Other common fiber-optic connectors are FC, FDDI, LC, D4, MU, MT, AND MT-RJ. 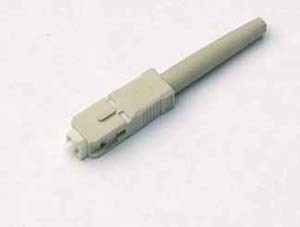 The following is the ST (an AT&T trademark) connector. The ST connector, also called the Straight Tip connector, uses a push-and-turn-to-lock system. ST is probably the most popular connector for multimode networks, like most buildings and campuses. The following is an SC connector, also called a Square Connector or Standard Connector, or Set and Click. The SC connector has a molded plastic plug casing and a push/pull locking system. At first, it was not widely used because it was much more expensive than the ST. But, now it is only a little more expensive and very common. Our knowledgeable sales, technical support and engineering staff are dedicated to understanding your requirements and designing products & solutions to meet your needs. Meanwhile, fiber cable OEM services are well provided to our clients from our factories. I found this blog very informative.This increase my knowledge about fiber optic cabling>.